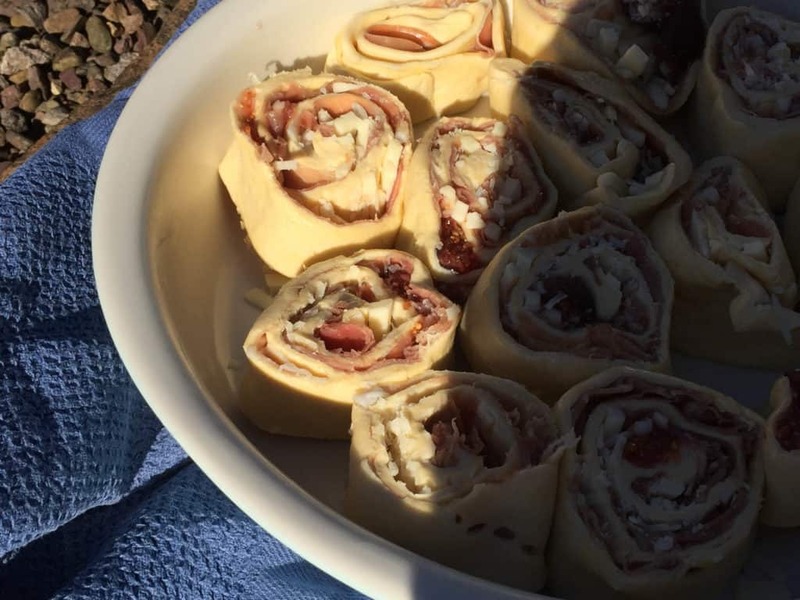 I’m going for a bit of fusion food with these Quick and Prosciutto and Grana Padano Croissant Rolls. I’ve combined French croissants with Italian Prosciutto di San Daniele & Grana Padano in a savoury ‘cinnamon roll’ style snack. They were totally delicious, would be great for parties, kids will love them too and you can make them more of an everyday dish using your own favourite ham and cheese combination. STEP 1: Gather your ingredients. 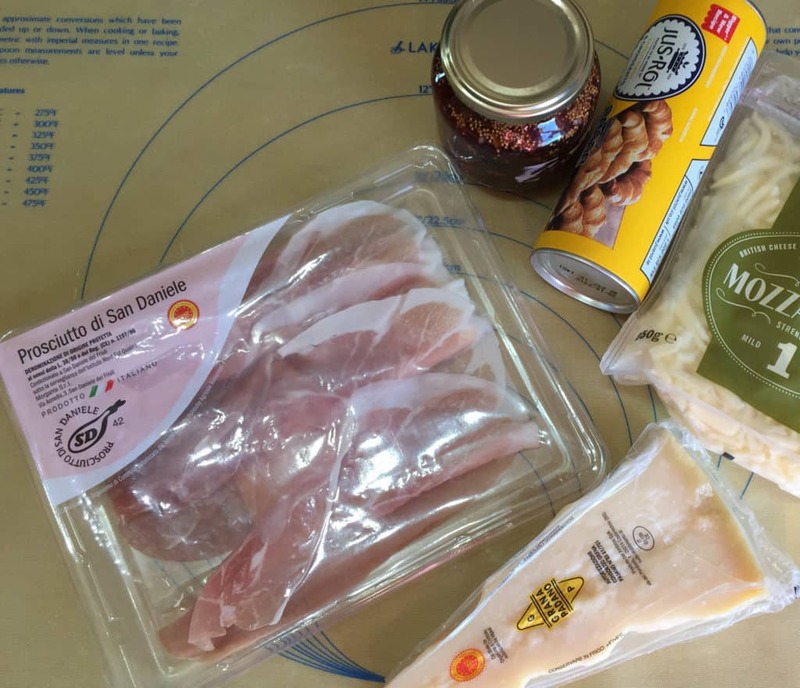 A pack of Prosciutto di San Danielle, a wedge of Grana Padana cheese, grated mozzarella, fig jam (or other preserve) and pre-prepared croissant dough in a can. STEP 2: Heat the oven to 200C. 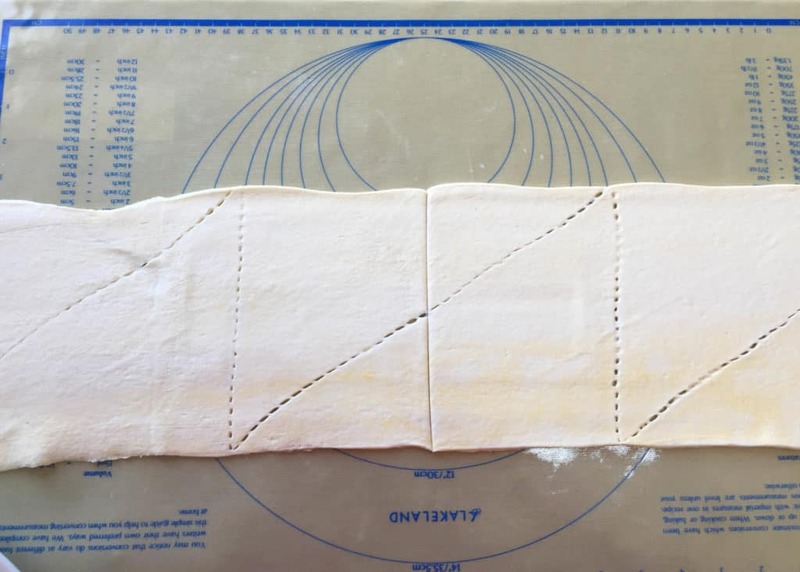 Roll out the croissant dough, IGNORE the perforations and cut it in two straight down the middle. 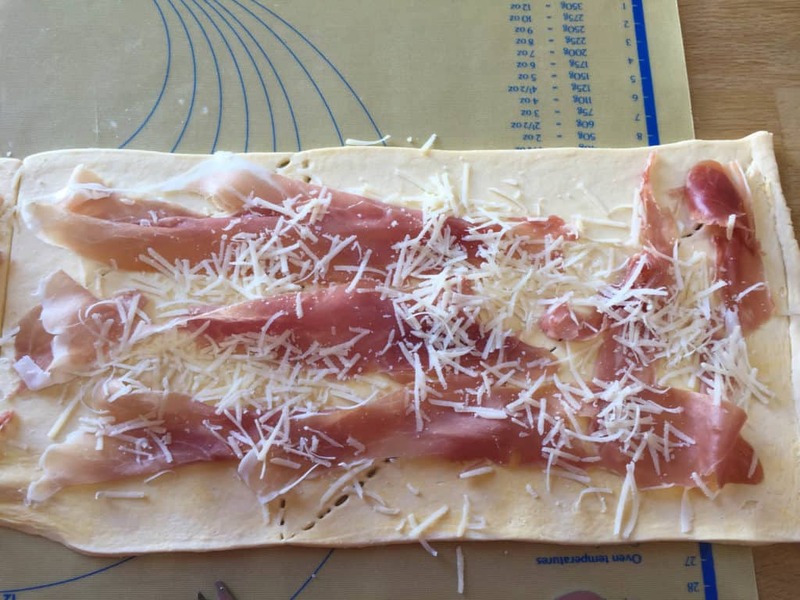 STEP 4: Cover the Prosciutto di San Daniele with some grated Grana Padano. STEP 5: Sprinkle over some grated mozzarella and add spoonfuls of fig jam or other sweet preserve. STEP 6: Roll up the dough from the short end, you should have two ‘swiss roll’ style pieces. 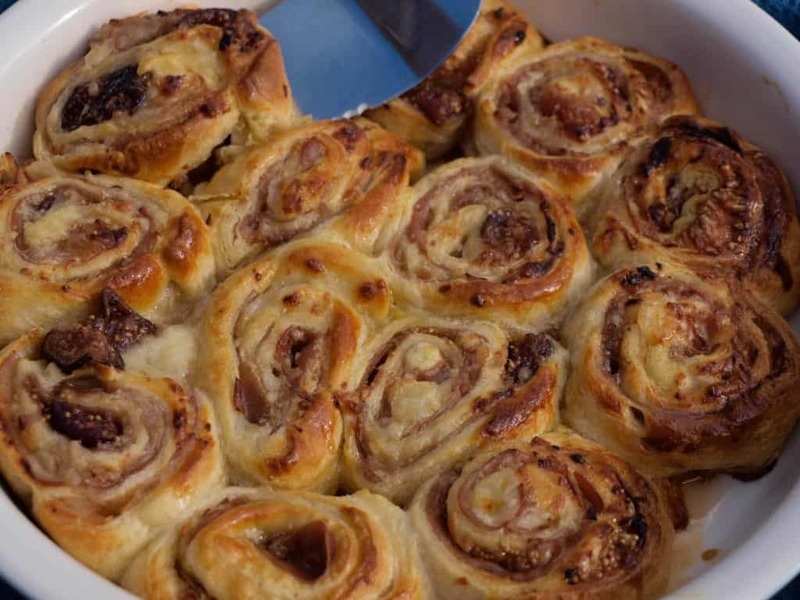 A savoury croissant roll filled with cured ham and italian hard cheese. Roll out the croissant dough, IGNORE the perforations and cut it in two straight down the middle. 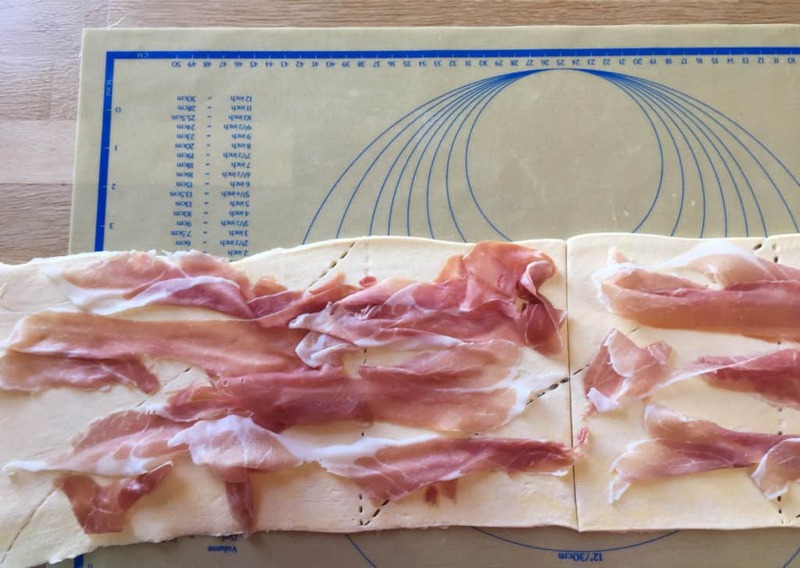 Cover the Prosciutto with some grated Grana Padano. 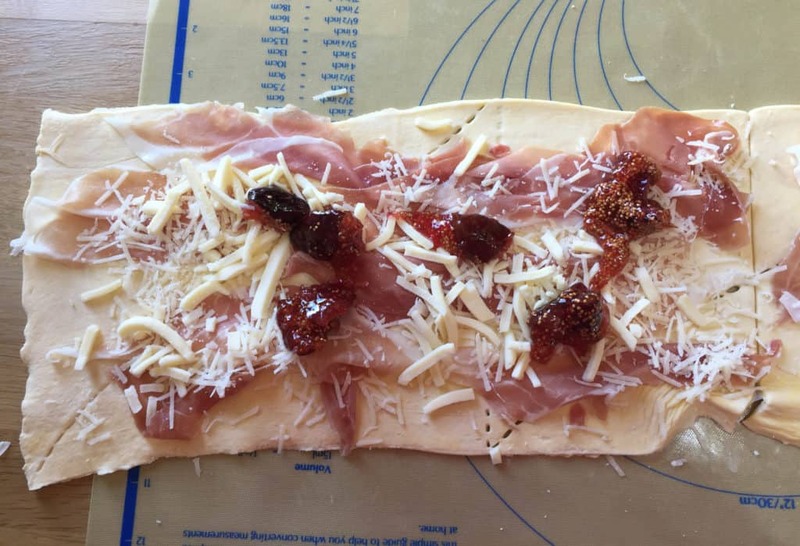 Sprinkle over some grated mozzarella and add about 6 spoonfuls of fig jam to each piece of dough. 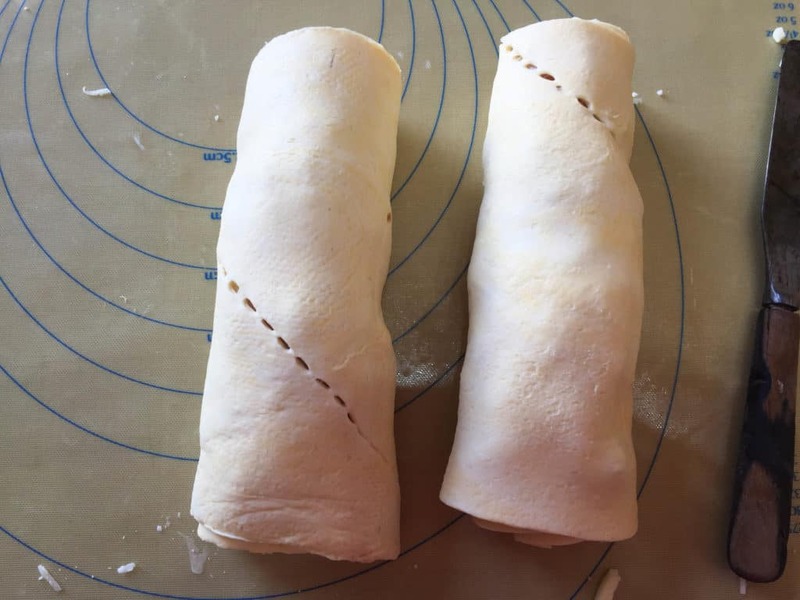 Roll up the dough from the short end, you should have two 'swiss roll' style pieces. Slice the two 'swiss rolls' with a sharp knife and lay the slices cut side up into the dish. I used homemade fig jam, but you can buy a Fig Conserve in most supermarkets, or use cranberry jelly, or even a chutney. Grana Padano is made from unpasteurised, semi-skimmed cow’s milk from two milking and generally aged for two years. At the end of the cheese making process, Grana Padano develops a firm, thick and deeply straw-coloured rind protecting the fragrant, dry, flaking interior. Grana means “grainy” in Italian which is reflected in the fine granular texture with an intensely sweet flavour. As Grana Padano ages, the flavours become pronounced, savoury and complex and the texture becomes more crumbly. 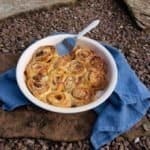 I love the idea of croissant rolls, they would make a great lunch or be good as part of a party spread! I bet my lot would love these, will try them out very soon. Thanks Lucy, yes I think kids would love them. Thanks, Dom. Can’t believe you’ve never used the croissant dough, it’s such a time saver! Oh great idea. I am going to try a veggie version of this. Thanks for the inspiration Janice. Fab! They would be brilliant as a veggie treat too, anything with croissants and cheese is going to work!